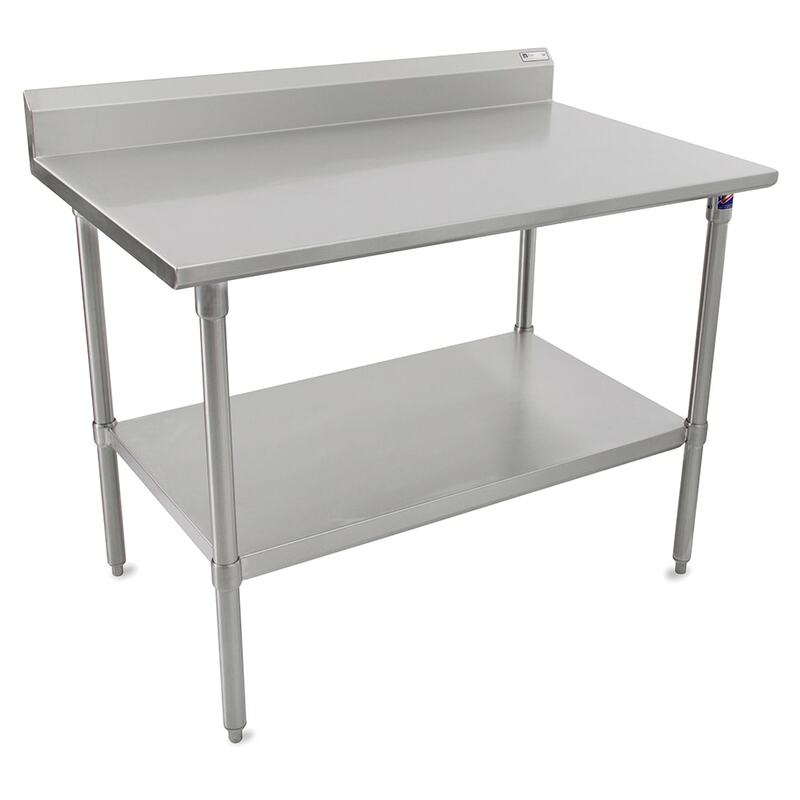 The John Boos ST6R5-2460SSK work table is made of stainless steel, which resists dents, corrosion, and stains. The sound-deadened, TIG-welded tabletop is reinforced with a 1-inch-by-2-inch channel that runs the length of the unit. Messes from food prep and small equipment are confined to the 5-inch backsplash. An adjustable undershelf can store equipment and supplies within reach. This John Boos ST6R5-2460SSK work table has side edges that turn down 90 degrees for flush setup against other tables and surfaces. 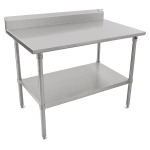 For more information on commercial work tables, as well as equipment stands, visit our tables and stands buyers' guide.